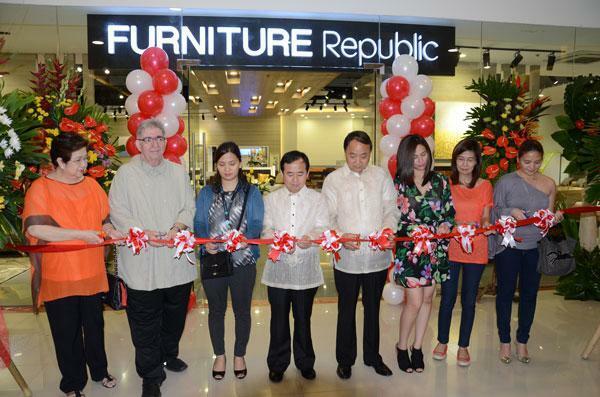 (Fishermall, Quezon City) – Furniture Republic, a fast emerging furniture store that offers affordable and beautifully crafted mid-level furniture celebrated its much anticipated Grand Opening to the public last Friday. With 651 square feet of dedicated floor space and walls lined with various collections and home furnishings, the people behind the company hopes to continue its mission of providing a unique shopping experience and affordable furniture to its customer. While the internet has made searching for furniture convenient, Furniture Republic believes that nothing compares to holding the furniture with your hands, having a firsthand feel of showcased furniture display, and being able to ask questions as they arise. Natividad Cheng- President,Polyfoam International Corp.